It looks like this adorable dog is having a good day. 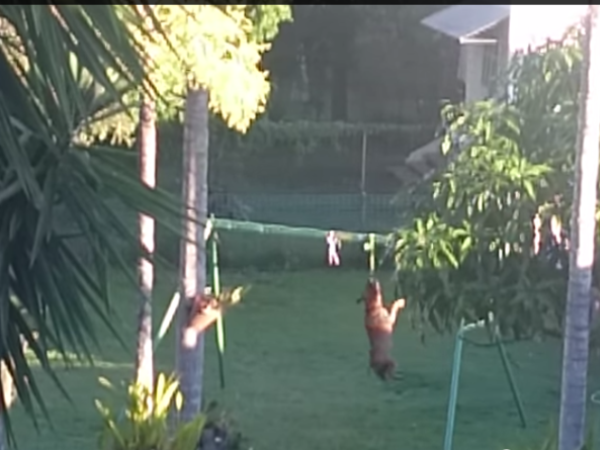 Liam Terry posted a video on YouTube showing a puppy doing the classic ‘jump and swing’ on a short rope. The pup, spotted in Liam’s neighbour's yard manages to grab hold of the rope after realizing he needs a run-up in order to jump high enough to get it. After several attempts, he manages to dangle for at least 30 seconds, while pulling some serious moves. "Your dog can’t do this!" captioned Liam, in the video that has gained more than 150 000 views in three days.